The US will close 15 military bases across Europe, US Defence Secretary Chuck Hagel has confirmed. The Pentagon says the move will save around $500m (£300m) a year, and comes as the US military seeks to shift its attention towards Asia. 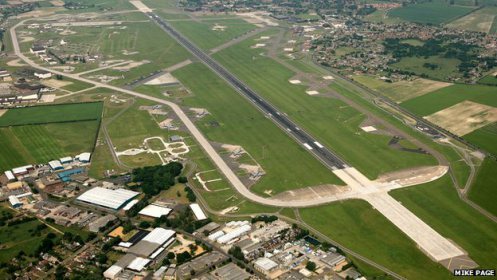 But the US has named RAF Lakenheath to be the first permanent European base for the F-35 aircraft. The US currently has more than 60,000 troops stationed in Europe, mostly in Germany, Italy and the UK. The number will remain the same, as the US ramps up rotations within Europe for training programmes. But US officials also have finalised plans to cut about 500 military personnel from the Lajes military base in the Azores islands, which drew opposition from Portugal.